Are you moonlighting as a part time ninja assassin? 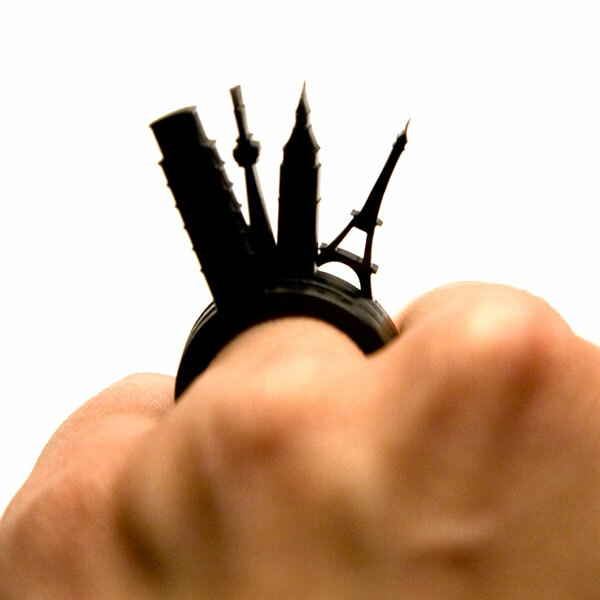 Then check out these World Landmark Rings. 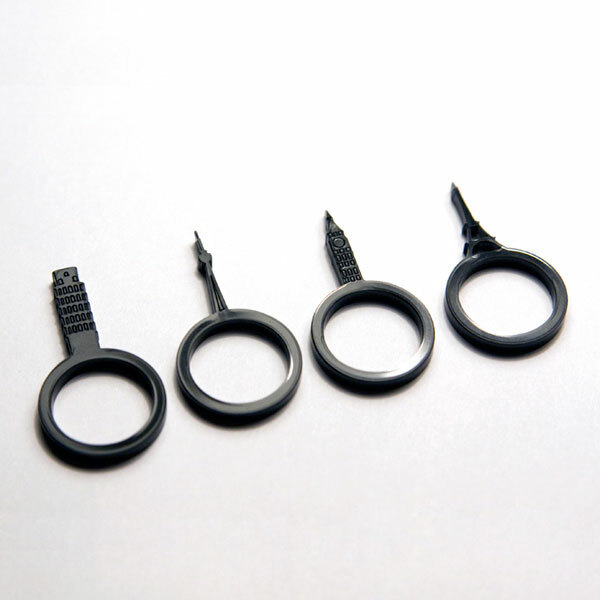 These black acrylic mini shanks will blend in nicely with your shinobi gloves while you’re lurking in the shadows. And because they’re laser cut to look like world landmarks, the authorities will only suspect you of being a ninja tourist. Pick up your set for $22 here.